For continuous monitoring of the carbon dioxide (CO2) concentration in the ambient air. 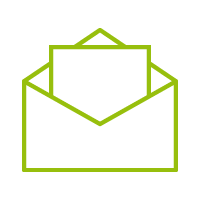 Application in rooms in which many persons work, study or live and where carbon dioxide levels may consequently be elevated. High concentrations of carbon dioxide in the ambient air reduce the ability of persons to concentrate and perform. Ideal for educational institutions, training/meeting rooms, office areas and household. CO2 sensor with infrared technology in plastic housing, for connection to a standard CEE socket. 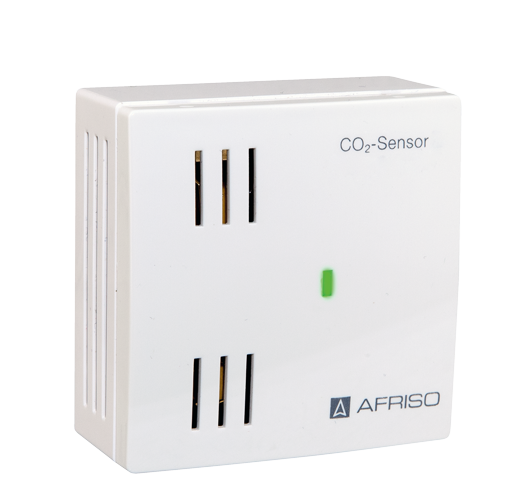 The version CO2 sensor F (with EnOcean® wireless module) sends the measured values to the AFRISOhome gateway for further processing and initiation of appropriate action. For example, it is possible to start a room ventilation system in order to reduce the CO2 concentration. The current carbon dioxide concentration is also displayed by the AFRISOhome app. The AFRISOhome gateway in conjunction with additional AFRISO products with EnOcean® wireless technology allows the user to configure a whole range of fully customisable, extensible applications.